Looking for something to do tonight? Fashion's Night Out is tonight and it's not just for the lucky college ladies living in New York City. Fashion's Night Out is happening world wide, and whether you're in Los Angeles or Kansa City, chances are your city has an FNO going on tonight! On this one night, stores all over the world will be open after hours with personal stylists and make up artists on hand, giveaways of some seriously covetable items, free food and champagne, and lots of goodies and fun. In many cities, you can even meet and greet celebrities and some of your favorite bloggers. If you're an avid fashionista or just don't have anything planned for tonight, you might want to head over to your nearest city and check out Fashion's Night Out! 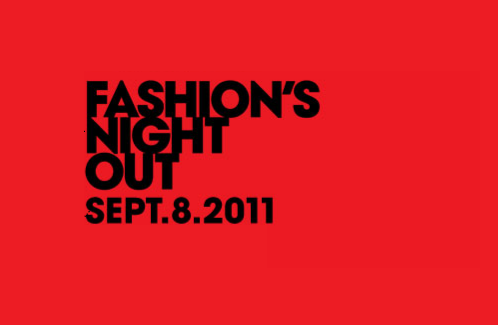 To check to see if your city is on the list and what's in store for you, visit the FNO website. I went to the one downtown in Burlington Vermont, not nearly as cool as the one in New York, but I had a great time and got some cool free samples of things!